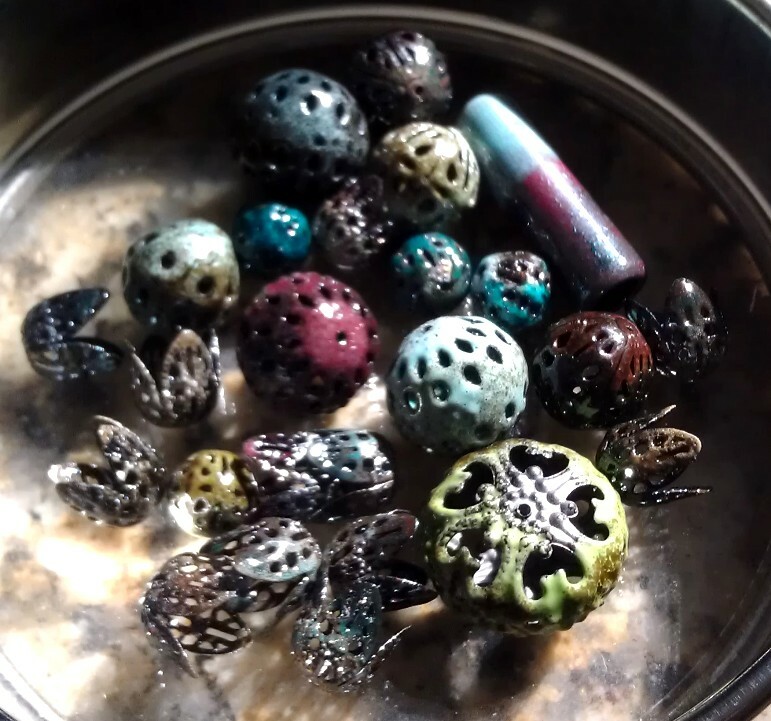 Love the beads and the idea of a studio out of the house. Why aren't you using your kiln to enamel? Thanks! 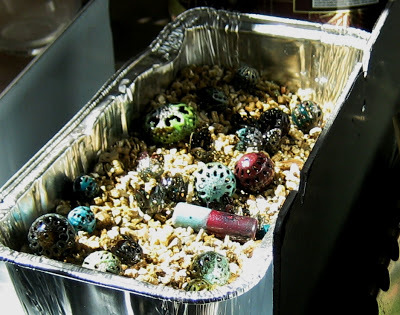 I don't know how to kiln-fire enamel, especially not on a 3-D object. Torch-firing on filigree beads was really the first enamel application that interested me. Wanna come teach me? 🙂 Miss you!